CoinManage UK Coin Collecting Software 2006 is cataloging software developed by Liberty Street Software. 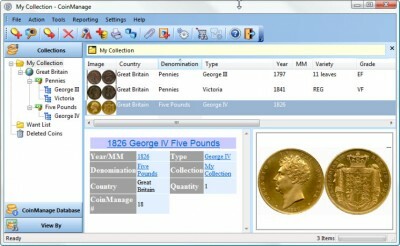 Use CoinManage UK coin collecting software to easily & accurately catalogue your UK Coin Collection. Included is a comprehensive database of over 6600 British Milled coins, complete with values. Use our eBay™ coin search feature to find auctions & research recent selling prices. CoinManage UK ships with several reports, including a Coin Checklist with the varieties you own already marked. CoinManage UK Coin Collecting Software 2006 supports different languages (including English). It works with Windows 98/XP/Vista. Latest CoinManage UK Coin Collecting Software 2006 does not contain any spyware and/or advertise modules, allowing installing it with no worries concerning valuable information loss. 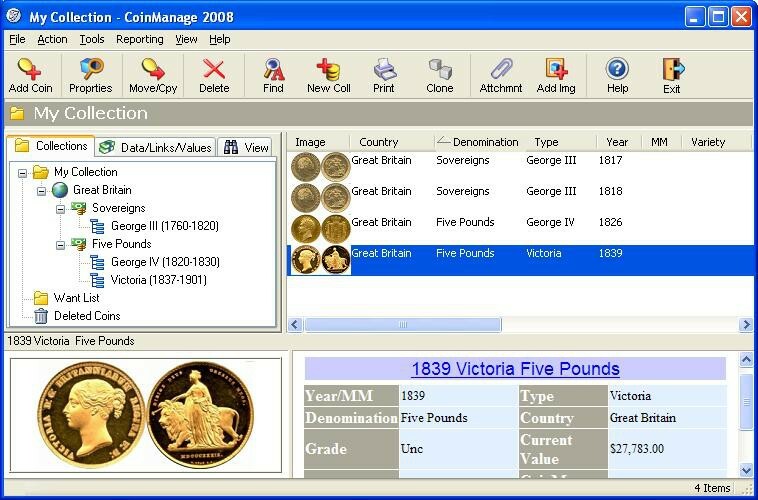 We has completely tested cataloging software CoinManage UK Coin Collecting Software 2006 many times, written and published the interesting article and uploaded installation file (48997K) to our fast server. Downloading CoinManage UK Coin Collecting Software 2006 will take several minutes if you use fast ADSL connection.